The pastor search process involves three tasks. Preparing for a new journey. Finding God’s choice for your congregation. Did your pastor just resign? Read this first. Before we discuss these three pastor search tasks, however, let me caution you about four pitfalls. Impatience. Searching for a pastor isn’t a job that you want to rush through. It is tempting to push as fast as you can to try and get your church going again. Resist this urge. Take your time. Don’t move ahead until you are ready. Making assumptions. Pulpit committees often assume that candidates are in harmony with their doctrine, values, and purpose. But you should never assume. Ask a lot of questions. Ask questions that may even seem trivial. If you don’t you may regret it later. Acting without clear guidelines and values. It is absolutely vital that you know ahead of time what guidelines and values will direct your pastor search. You can read more about this area here: pulpit committee. Rose-colored glasses. Every pastor looks great during the candidating process. Every sermon you hear is excellent during the candidating process. That’s caused by two things: 1) Candidates show only their best; 2) pulpit committee members typically only see the good. You have to be careful to look deeper than the surface. Ask questions about everything. Look for negatives. Every pastor has negatives. You need to know what they are before you call him to your church. Now to the three tasks your pulpit committee must accomplish. Please note that searching for a pastor is only one of three jobs you need to do. Failure to work on all three tasks may lead to difficulties in the future. How well was your previous pastor liked? How long was your previous pastor at your church? Were there some people who were very close to your pastor’s family? Was your pastor a people-person? 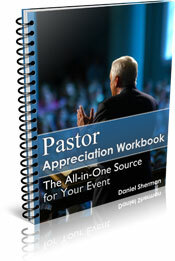 The greater the grief, the more you will need an interim pastor. You also need to assess the level of conflict in your congregation. No church is conflict-free and the departure of a pastor can magnify problems. Sometimes people blame others for the pastor’s departure. Sometimes the pastor himself was at the heart of conflict and now people are choosing sides. 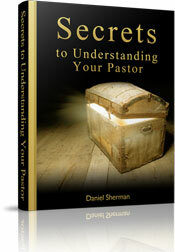 The greater the conflict, the more you will need an interim pastor. The time of a pastor search can be an exciting time. It will be stressful, but that shouldn’t distract from one of your primary task: building excitement for the next phase of your congregation’s journey. Keep the congregation informed. Make announcements, put notes in the bulletin, talk one-on-one, discuss in small groups, write newsletters. Make every communication positive. Talk about the search as seeking God’s will for the future of the church. Talk about the unity of the pulpit committee. Let people know about the exciting ways God is bringing you applicants. However you do it, get people excited! Get people involved. Hold town hall meetings where people express attributes they’d like to see in their next pastor. Take a survey. Ask people to submit names of suggested potential candidates. See the section, Pastor Search: Pulpit Committee, for a full discussion of this task.